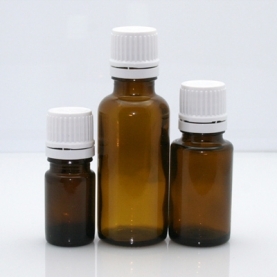 These amber glass bottles come in 1/6oz, (5ml), 1/2oz (15 ml) and 1oz (30 ml) sizes. They come with a white tamper resistant cap and orifce reducer. Great for making stock blends or for transferring your favorite essential oil from a larger size.